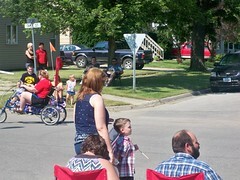 We went to the Fourth of July parade in Slater. First parade that Max and Riley have been to. Max loved the free candy! It was a wonderful time - small town Iowa is so charming.